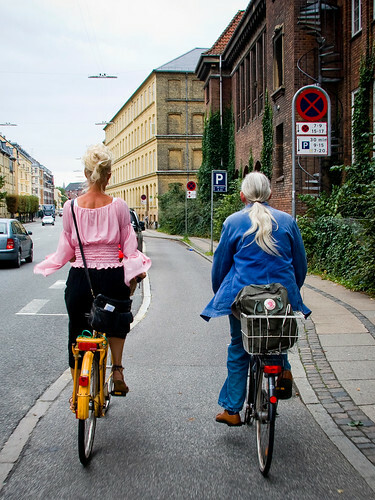 If you're going to be overtaken on the bicycle lanes of Copenhagen, let it be like this. (As background information, the reporter, Justin Webb, has just returned from a long stint in the USA to start presenting "Today", the breakfast-time news programme on BBC Radio 4). A helmet gets mentioned, but so do high heels and enjoying the view of the city!